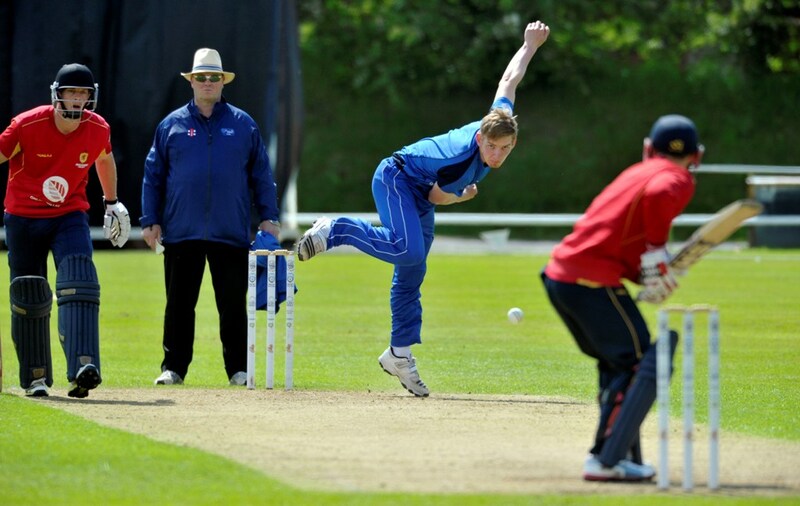 Eighteen year old Niall Alexander received the call-up this week for Scotland U19s who are in the Netherlands to play two 50 over games and one twenty20 match against the Dutch at Voorburg Cricket Club. The opening bowler took a wicket in the first over for Dumfries on Saturday in the Western Premier League and finished with two wickets. That has helped make him the league’s leading wicket taker with 19 wickets. The selection follows on from his successful appearances for the Scotland Reivers in the North Sea Pro Series which completed last month and also involved matches against Dutch sides and it marks a progression from previous selections for Scotland U17s and Scotland U19s.